Not just mobile apps, we build user-friendly mobile experience on iOS and Android platforms. 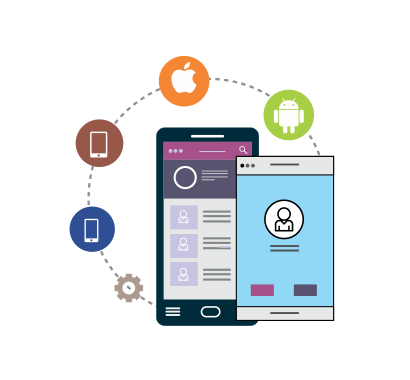 Transess Technologies has always been considered as one of the best and trusted company for mobile application development for the small and big businesses. Special development capabilities are required for the application development on mobile. There is a long procedure for the work involved in its development. The scope of work includes development, integration, testing, quality assurance, and management of the content. Transess Technologies have a team of the dedicated developing team which is all the time involved in making the product for you better to best. Also, our project managers are very efficient and capable to notify you the development and the work going on in your application development, so that you are aware of the progress. The primary objective of any mobile application development is not just productivity, service and content but also the best user’s experience. The regular use of the application should provide the user best and without interruption using experience so they enjoy doing it. It is just not the mobile-friendly website but includes lots of other functionality and reach. Hybrid app development or cross-platform development: cuts your maintenance and development costs with cross-platform development as it can work seamlessly on IOS, Android and more. We are leading-edge mobile application Development Company with many successful projects under us. We have a team of talented developers including high-skilled analyst, UX expert and certified software engineers who are well versed with the building of the application on major platforms. Picking the right approach for the development of the mobile application is a critical success factor that can make or break the project. We deliver rapid results by emphasizing on incremental software development and rapid prototyping. Client’s during the process are fully updated on project status so that that they can know about the latest update of the project.